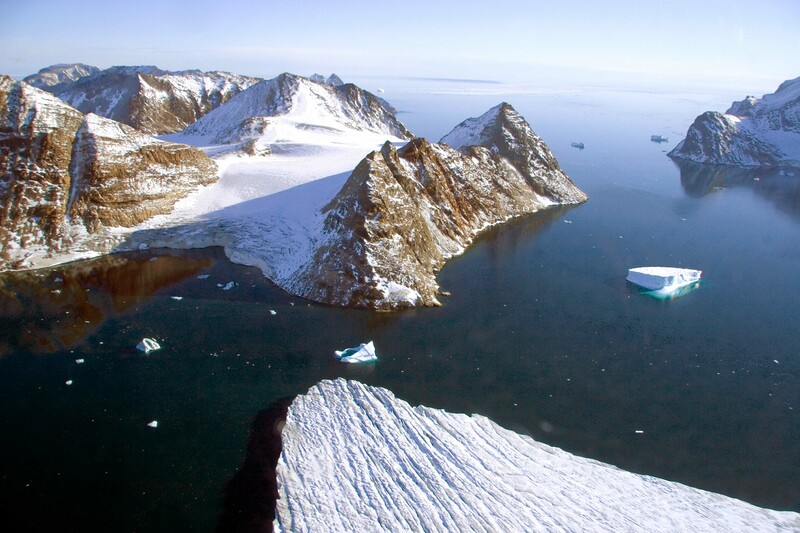 Greenland, Warming Island, Broken Channel, 2006 - This photograph - taken from a helicopter - shows the broken glacier and the new channel that has created Warming Island. This shot was taken exactly one year to the day following the discovery of the island by Dennis Schmitt of Berkeley, California. I was part of a five man expedition that Dennis led to survey the island in the late summer of 2006. An article in the New York Times on Jan 16, 2007 made Warming Island the poster child of Global Warming. This photograph first appeared in that article on the front page of the Science Section.